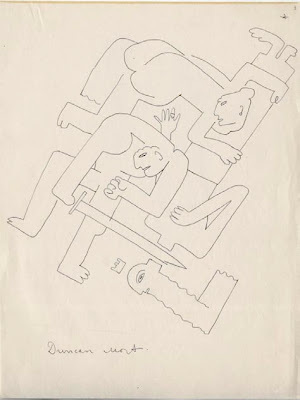 Sergei Eisenstein (1898–1948) was a seminal modern artist and legendary pioneer of cinema. The director of masterpieces such as Battleship Potemkin (1927) and Ivan the Terrible (1941), he was also a major art theorist, whose ideas on 'intellectual montage', for instance, created a milestone in the theory of cinema and in revolutionary art. 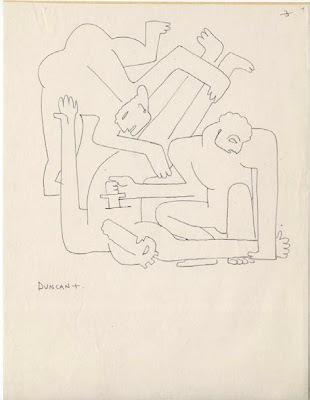 Eisenstein also made intensive use throughout his life of the medium of drawing, often in close connection with, or literally as part of, his theoretical reflections. 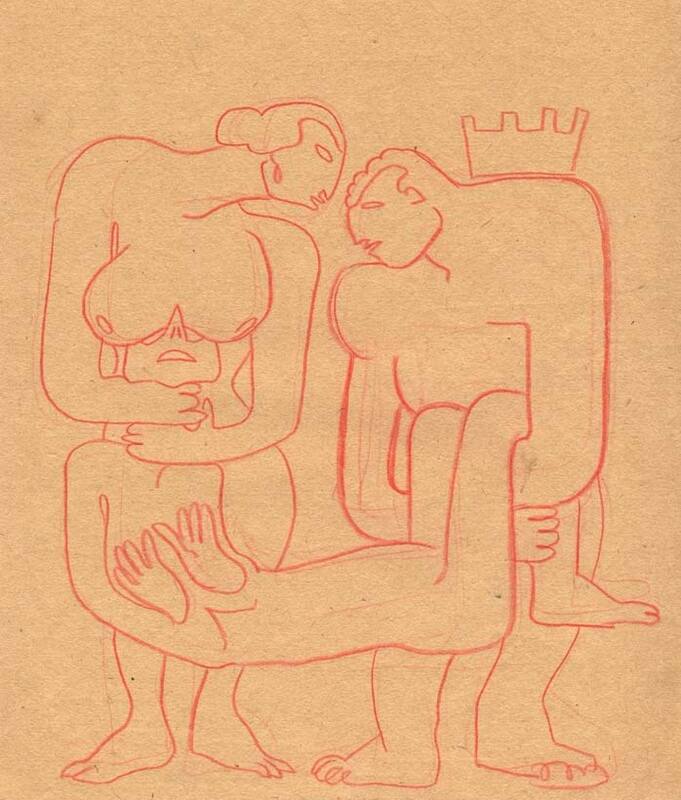 Yet despite Eisenstein's enormous influence on 20th century culture, many of his texts have not yet been translated from Russian into other languages, and large parts of his vast body of writings have to date remained unpublished. 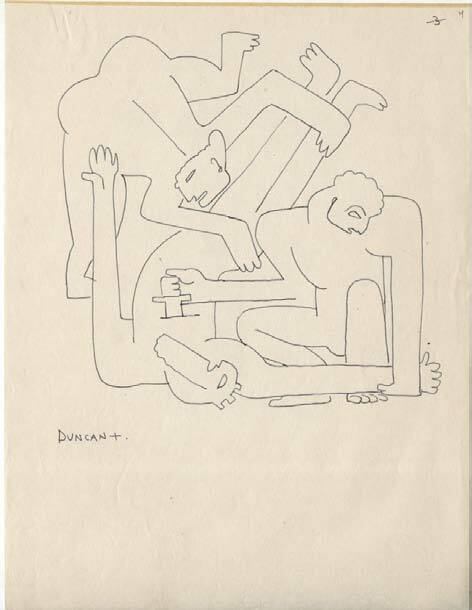 Similarly, his extensive oeuvre of drawings has only been presented on rare occasions. 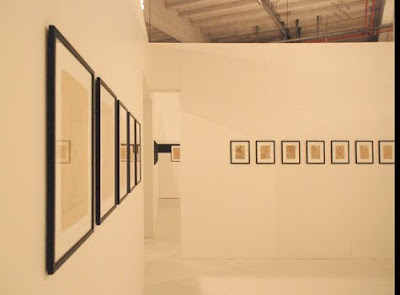 The exhibition in Extra City brings together an extensive selection of drawings of the Russian State Archives of Literature and Art in Moscow (RGALI) made by Eisenstein during his visit to Mexico in 1931/32, including works never before presented in public. 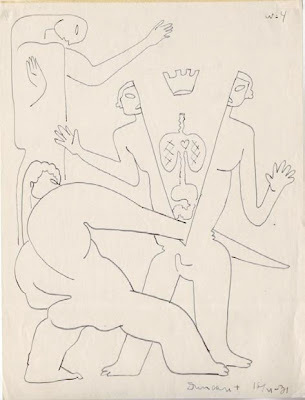 In Mexico, Eisenstein developed his drawings in a parallel manner to the Surrealists' écriture automatique, producing a large number of variations on recurring motifs, merging archaic and modern myths, exploring obscenity, violence, and forms of ecstasy through a single, amorphous line. 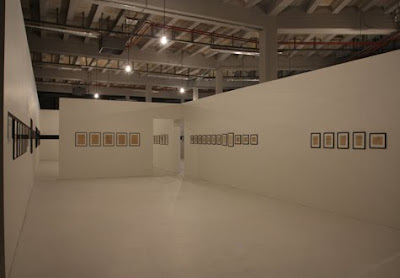 The exhibition will further include short excerpts from the unfinished Que viva México!, the film Eisenstein came to shoot in Mexico, and which he would tragically be excluded from editing. The film's hybrid images depict Mexican life as a simultaneity of past and present. Reminiscent of, and yet surpassing the modern 'primitivist' fascination with the 'archaic', Mexico presented for Eisenstein a tableau of dialectic imagery that allowed him to re-conceptualize the role of modern art and revolutionary cinema in traversing the modern dichotomies of subject and object, rational and irrational, inside and outside, individual and collective, and even death and life. 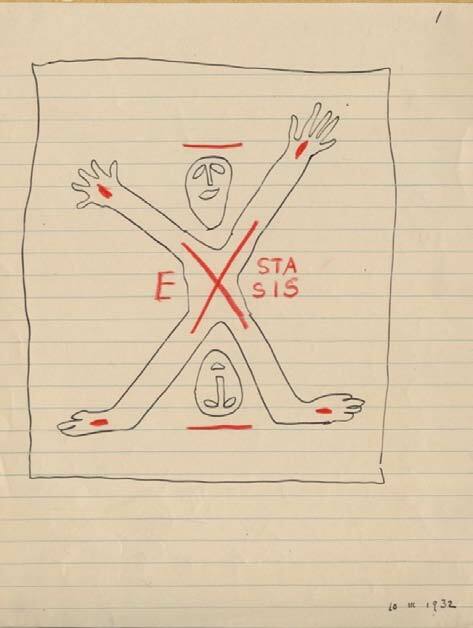 Further to this we will be presenting the recent publication of Eisenstein's monumental, uncompleted book Method. Eisenstein conceived this work as being three-dimensional, which he imagined taking a spherical rather than a linear form. 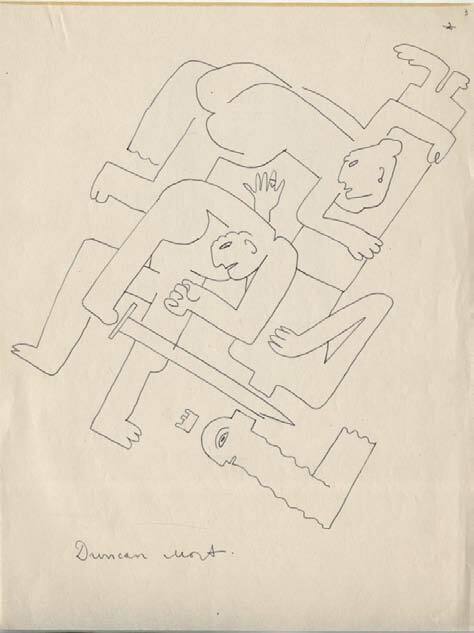 The 1700 pages of text, drawings and notes, written in Russian, English, French, German and Spanish, are being edited by Oksana Bulgakowa and published in an untranslated four-volume version by Potemkin Press (Berlin/San Francisco, 2009). In approximating Eisenstein's non-linear conception of Method, excerpts from the material and partial translations will be presented in a web platform established on the occasion of the exhibition. 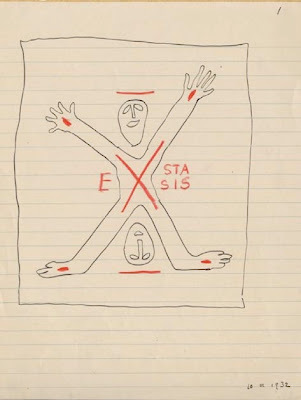 Sergei Eisenstein: The Mexican Drawings is conceived as an introduction to the thematic project Animism, planned for 2010 at MuHKA and Extra City, which addresses the dialectics of subjectification and objectification, mummification and animation, in contemporary art practices. Curators: Oksana Bulgakowa and Anselm Franke. Lecture Oksana Bulgakowa on ¡Qué Viva México! To coincide with the exhibition Sergei Eisenstein. 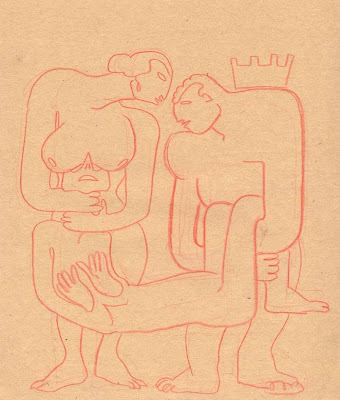 The Mexican Drawings at Extra City, MuHKA_media presents a film season which takes Eisenstein’s unfinished Mexican epic as a starting-point. Films using material shot by Eisenstein in 1931/2 for his Mexican project. Eisentein was a great admirer of Disney: he was impressed by the early Mickey Mouse and Silly Symphony cartoons and Disney’s first animated feature Snow White and the Seven Dwarfs. The visual style of Que Viva México (although unfinished) inspired Mexican filmmakers in the 1930s and 40s. Film historians even make mention of an “Eisensteinian” current within Mexican cinema, of which the films made by director Emilio Fernández and his legendary cinematographer Gabriel Figueroa are the most representative.